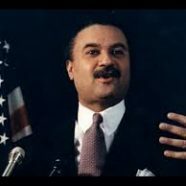 1996 – Ron Brown, the Secretary of Commerce in the Clinton Administration was killed when the plane he was traveling on crashed into a mountainside near Dubrovnik, Croatia. Brown was on a trip to the war-torn region of the former Yugoslavia with a delegation of business executives and government officials to the war-torn region to explore investment opportunities. Te cause of the crash was determined to be a combination of pilot error and a poorly designed landing approach according to the United States Air Force. Brown, the former chairman of the Democratic National Committee, became the first African-American to serve as the Secretary of Commerce.